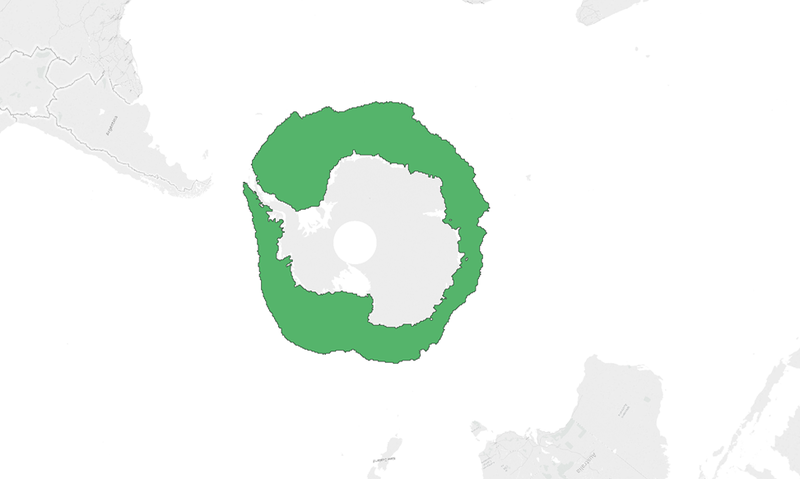 A few days ago I found a wonderful story about polar ice caps melting that led me to some wonderful data. 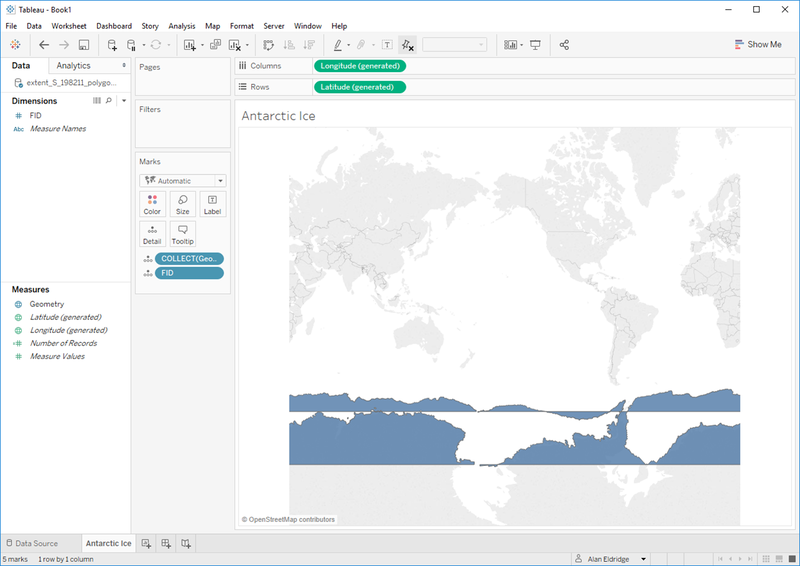 I thought I could potentially make a viz that showed the changing extent of the sea ice at the poles – some line charts for the temporal view and a map with the shape files. I figured some animation would be even sexier. 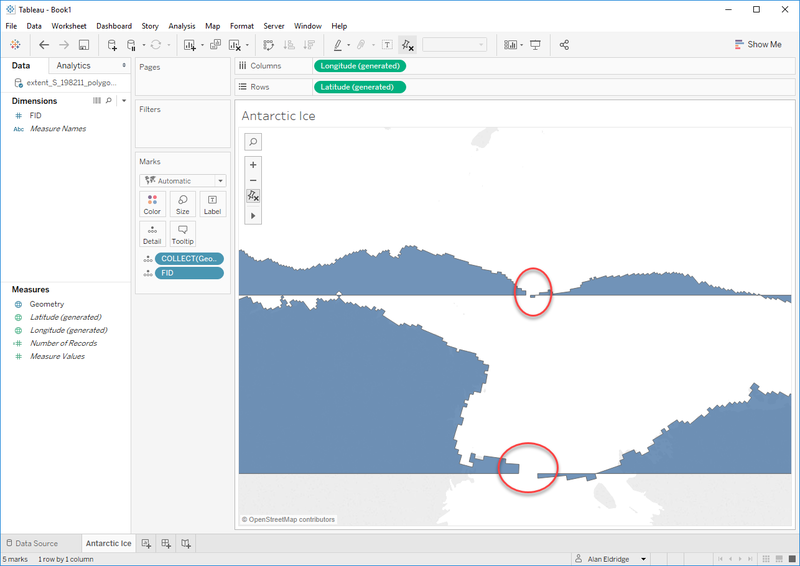 BTW – check out how QGIS takes our Tile Service and projects it nicely. Very cool! BOOM! Also borked. 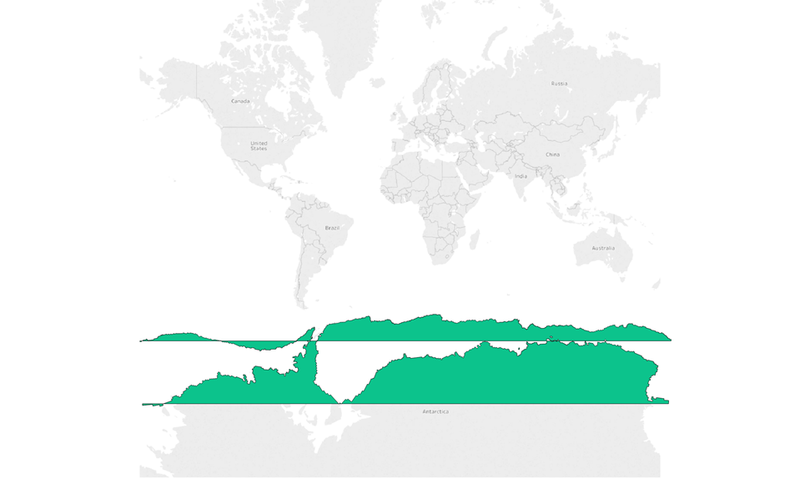 I’m no GIS expert (looks around for Sarah Battersby) but it looks like Mercator can’t handle polygons that cross the +/- 180 degree meridian. So until Tableau can support more projections, I’m going to have to park this project. Or like Sarah suggested, map it to completely different coordinates somewhere else on the globe. 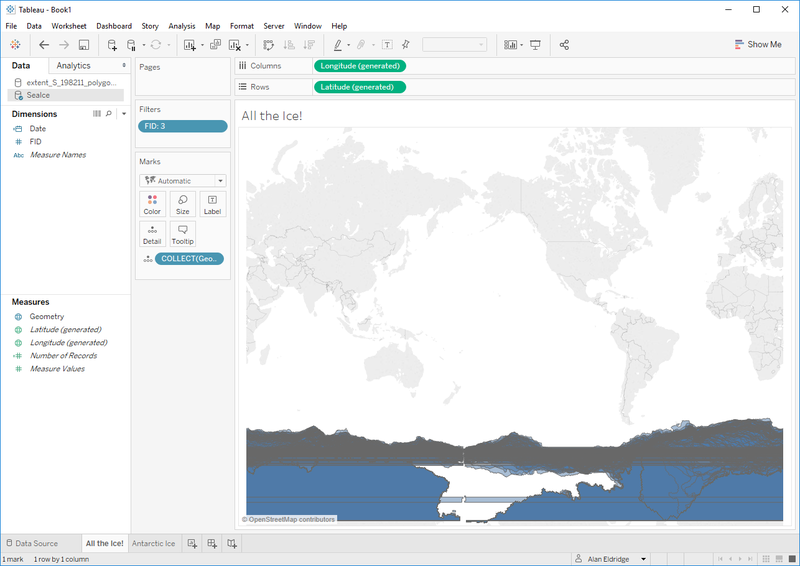 It began with Alteryx so wouldn’t it be poetic to solve it with Alteryx without having to wait for more projections to become available in Tableau? Nice work, John. That’s one solution. I also heard back from Sarah that she picked up the gauntlet and did some remapping too.